Pisces is the 12th and last sign of our Zodiac System. 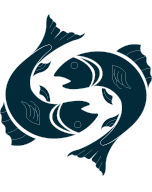 Pisces born are kind hearted, emotional, helpful and learned. Due to lack of proper determination, they may face problems in taking right decisions in life. They may also suffer from mood swinging. Moon and its placement in the chart is considered most important in their charts. Here are general predictions for Pisces born for 2018 based up on the Moon Sign and transit of other planets during the year. Specific predictions depend upon the placement and strength of planets present in the natal chart of an individual. Mahadasha and Antardasha period of particular planet in the chart also decide important events, bad or good, in this time frame. These predictions will work as guidance for the natives born with Pisces as their Moon Sign including recommendations, precautions and few remedies to be taken in case you are running adverse time during the year 2018. At the beginning of year 2018, Jupiter will be transiting in the eighth house in Libra. Jupiter will move to next sign on 11th October 2018. Saturn will be transiting in your tenth house in Sagittarius throughout the year. Rahu and Ketu will be transiting your fifth and eleventh house in Cancer and Capricorn signs respectively. Family life will be generally average. In the beginning of the year you will find positivity and harmonious relations with family members. But in spite of support from family members you may not feel satisfied. You may feel desperate, disappointed and neglected unnecessarily with little interest in family matters. Other factors in life will create obstacles which may keep you stressed. Transit of Jupiter is not favorable. Friend circle may also remain indifferent. Overall, this period will be stressful on one or another account. Last two months of the year may bring some respite and you may feel relieved but health may remain an issue this year. Married life will remain satisfactory and cooperation of spouse will be available. You need to be careful of your aggressive attitude. Health issues may also cause problems in married life. You may not take much interest in married life and may remain unresponsive due to adverse circumstances around you. Problems at professional front may also affect married life relations. Months of November and December are considered favorable for conjugal life. This is an average period for lovers. They need to be careful while making dialogue with each other as even small issue can take ugly turn and may cause break up in the relations. You need to pay attention to keep the relations survive as your indifferent attitude may spoil the relations. Keeping calm during last two months of the year may give positive results. Transit of main planets is not favorable for professional life. Hard work at workplace may not yield desirable results and you may feel negativity due to circumstances around you. Seniors may not be happy with your performance. You also need to be careful of the colleagues who may be trying to create obstacles in your growth. Government authorities may not listen to you. There is also possibility of transfer at some unwanted place. Fear of loss of job may keep you stressed. All these unfavorable circumstances may affect health issues too. This year is not a good period for financial matters. Take care of your valuables as there is possibility of loss of money due to theft or burglary. This is not the proper time to initiate any new project. Not a favorable time to invest in properties. From May onward you may start feeling some relief in your financial matters but expenditures may remain too high in the months of November and December. Worries and obstacles may not allow you enjoy the pleasures of good health. Ill health and fatigue due to over indulgence in work may keep you stressed. Also be aware of injuries during last months of the year. Diseases related to liver may affect you. Unknown fear may surround you. Unnecessary travelling should be avoided this year. Also take care of your father’s health. This year is also not much favorable for students. You may feel lack of concentration and hard work may not yield the desirable results. Unnecessary obstacles and worries may spoil focus on studies. Those who are seeking higher education or are appearing in competitive examinations may also face undesirable obstacles. Saturn transit is not favorable and you may face lot of unnecessary obstacles which may keep you worried most of the time during the year. Atmosphere at workplace may also be the cause of annoyance. Higher expenditures and ill health will be the result of Saturn transit. Worship Lord Vishnu and keep a yellow-colored handkerchief in your pocket. Serve Brahmins and elders. Precautions: You should be careful about your health and money matters during the year. * Planetary position is not supporting. * Jupiter and Saturn are giving malefic results. * You should give attention to your health. * Perform the remedies of Jupiter and Saturn.